Bruce Cochrane’s furniture manufacturing roots go way back in North Carolina, but his reasons for starting a new company came from far away, in Asia. Cochrane started Lincolnton Furniture in part because of changes in the Asian import model adopted by so many stateside manufacturers in recent years. The days of cheap and abundant labor in China are ending. The average hourly wage is approaching $3.60 an hour, compared to 30 to 50 cents an hour when the export boom started. Cochrane says that Chinese companies are having trouble finding good employees, with advertised positions drawing a handful of applicants instead of hundreds. “When I started seeing labor problems in China, that’s when I started to think about (starting a company),” Cochrane says. 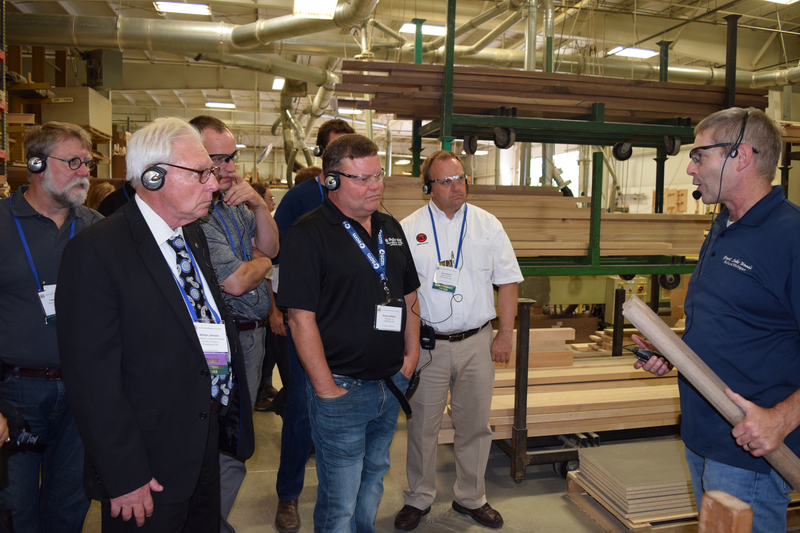 Lincolnton Furniture started producing and shipping in February, making bedroom and dining room furniture, along with chairs from the same Lincolnton, N.C., plant in which family-owned Cochrane Furniture also made bedroom and dining room furniture. Earlier, Bruce Cochrane was president of Cochrane Furniture. The company was sold to Chromcraft-Revington in 1997, and that company made the decision to outsource to China, closing the Lincolnton plant in 2008. Bruce Cochrane himself was later a consultant for other American furniture companies, spending time in China and Vietnam. The family has deep roots in manufacturing in North Carolina. Bruce’s great-great grandfather made church furniture before the Civil War. The family business made furniture in Lincolnton more than a century ago. “Our product niche is fine finishes, a focus on solid wood and great quality construction. And it’s made in America,” Cochrane says. “Right here in Lincolnton we’re making the best constructed furniture anywhere. All of our joinery is based on mortise-and-tenon construction. We have water-based finishes from Valspar coatings. Lincolnton employs 55 people, and plans to have 130 people working here when full production is reached. “Assembly and finishing are the most difficult part of the training process. Training people on these computer-assisted machines is pretty easy. More than half of the people had worked for the previous company, including one man who had worked for Cochrane Furniture for 32 years. “People hadn’t worked for so long they had lost their confidence to do the job,” Cochrane says. “(This man) had heard the new company was hiring, and could do anything but had only taken whatever job he could, and refused to take welfare. “I told him, ‘You’re going to be one of the first people I hire,’” Cochrane said. “There’s such despair in not having a job. Not going to work every day, not being with people who are like your family. 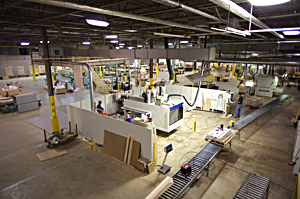 Although the geographic location is the same (Lincolnton Furniture is using most of Cochrane Furniture’s 300,000 square foot building) the new company does things completely differently, with a smaller, leaner workforce and high-tech multipurpose machines. The plan was to first go through entire product line, doing programming necessary for each product. Program first, then build to order, with machines set up to make one or two parts, not 100. By going through the product line, the goal was to understand the process applications and the parts that will be run, to determine the best configuration for the router. The company is using Microsoft Dynamics AX, ERP software to integrate purchasing and manufacturing. 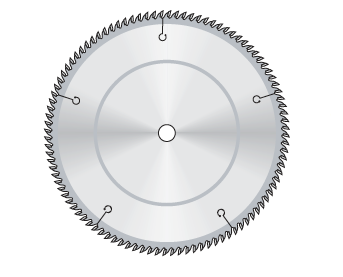 The whole premise of manufacturing is to buy panel stock cut to size and plane it if needed. The SCM Routech Accord 40fx CNC router is most important machine, with a 48-tool capacity tool changer. A second Accord will be added in Lincolnton soon. A Morbidelli Author 4365 router is used to process a lot of flat panels. The goal is to produce parts quickly and have them sanded, if needed, on a DMC Unisand K flat-panel sander, or a Timesavers 300 widebelt sander. An Accu-Systems tenoner machine is set up to run short length pieces, with a Celaschi tenoner set up to run longer pieces. Also here is a SCM Superset nt moulder, Invicta shapers, and drawer assembly area with Fletcher sander. The company is using solid oak, maple and cherry. Cochrane expects to outsource turnings, and continues to look at things they can’t do well. He has been contacted by many lumber and wood component suppliers. The finishing operation will be high volume, running hundreds of pallets a day once it’s staffed. 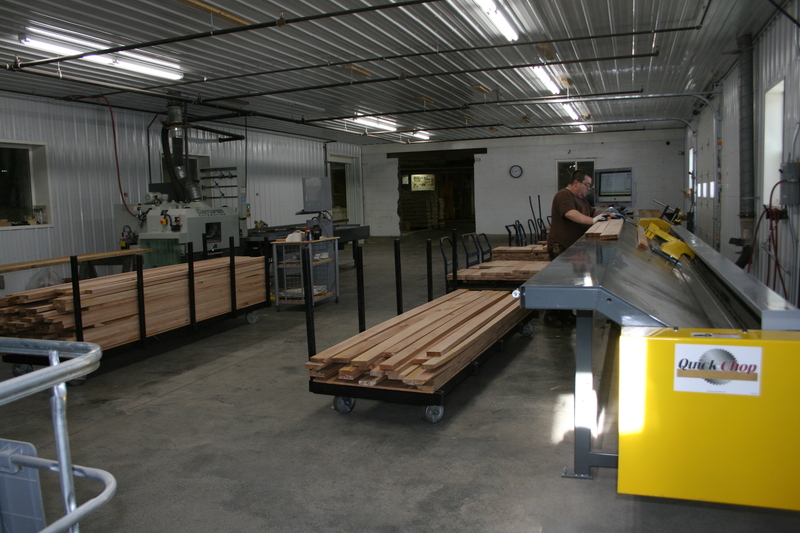 The finishing room can handle 50-75 pieces at a time. “The biggest obstacle for (a new company) to do what we’re doing now is finding capital,” says Cochrane, who had to make a personal commitment and dedicate his own funds to get the company going. There were also two physical issues in the existing building to overcome at the start. The electrical system needed an expensive upgrade to handle current needs safely. And a larger quantity of natural gas combustion was required for water-based finishing. One thing that hasn’t been a problem is marketing. “Selling the product hasn’t really been an issue,” Cochrane says. Lincolnton Furniture has five collections, and more than 100 accounts, which Cochrane describes as a who’s who of furniture retailing. “We have the opportunity to double the amount of accounts we have in a short period of time,” he says. Cochrane also expects to get a boost from the fact that the furniture is made in the United States. He says this has really changed in the past two years, with dealers telling him that people are coming in the stores asking for made in U.S. products. “That’s one of the reasons we’ve been so successful in getting the kind of customer that we have right now.